A couple months ago, I put together a list of my top-31 prospects for the 2018 NHL Entry Draft. 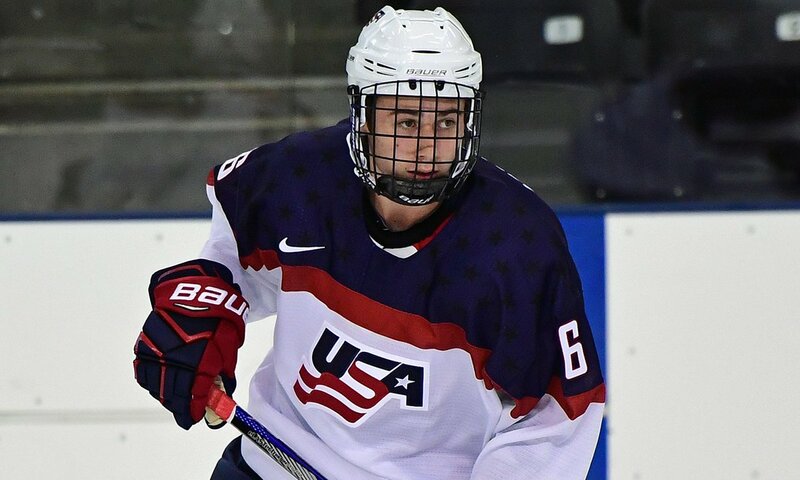 With summer tournaments like the Ivan Hlinka Memorial and World Junior Summer Showcase behind us, some of the top draft eligible players have given us a little more to work with. One player in particular that opened my eyes was Quinn Hughes. The undersized defenseman has a lot of talent, but I wasn’t sure he could translate that to tougher competition. Playing with Team USA this summer, he definitely proved me wrong, jumping up ten spots on my list – if he keeps it up at the University of Michigan this season, there’s a chance he finds his way into the top-5. Another big climber is Barrett Hayton of the Soo Greyhounds. Coming off of a rookie season that saw him play a complementary role for one of the most talented forwards groups in the CHL, Hayton was great for Canada’s U18 tournament this summer. With some of his teammates moving on, the big center will look to play a bigger role in the Soo – something that will likely lead to a huge jump in production. Like a few other draft observers, I still have Andrei Svechnikov at the top of my list and I think once the OHL season starts, many more will as well. Now a top-50, this time around I didn’t limit my list to the first round – in all honesty, I just wanted to get some goalies in there.